Sustainable peace agreements must address not only, the immediate questions of ceasefire and border demarcations, but also the conflict issues that may arise in everyday life, such as property rights or access to water. Women are often better placed than men to address many of these issues. 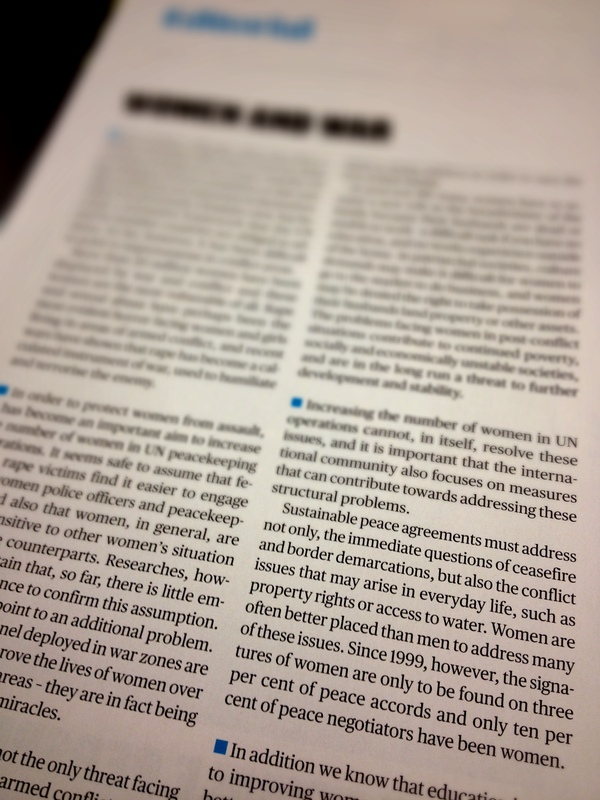 Since 1999, however, the signatures of women are only to be found on three per cent of peace accords and only ten per cent of peace negotiators have been women. This entry was posted in Ukategorisert and tagged samfunn, urix. Bookmark the permalink.